Getting locked out of your vehicle can be a stressful experience. When this happens to you, rest easy knowing that help is nearby. Capital City Locksmith offers speedy auto locksmith services in Leon County, FL, for emergencies. Just call us, and we’ll come to your location and fix your vehicle’s lock problems in no time. We work quickly and carefully to restore access to your automobile. With our speedy and responsive approach to service, you can return to the road with confidence. For more than a decade, our company has helped motorists throughout the area with all their vehicle lockout problems. As professional locksmiths, we have thorough knowledge and experience with a variety of vehicle lock systems. 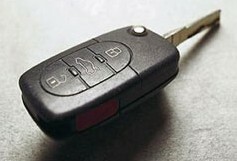 In fact, we also service auto remote lock systems from the leading automobile manufacturers. So whether you utilize a lock and key system or a remote fob, you may count on us for your vehicle security needs. As getting locked out of your car can happen anytime, Capital City Locksmith provides car locksmith services around the clock. You may also contact us for a lock repair quote. Simply tell us your situation, and we will provide an upfront quote for pricing and what comes with each service. Since no two situations are ever alike, we facilitate a customized approach to service. The solutions we provide will always be relevant to your situation. We work hard to deliver effective, long-lasting results. Contact us to learn more about our automotive locksmith services. We are based in Tallahassee, FL, and serve the surrounding area.